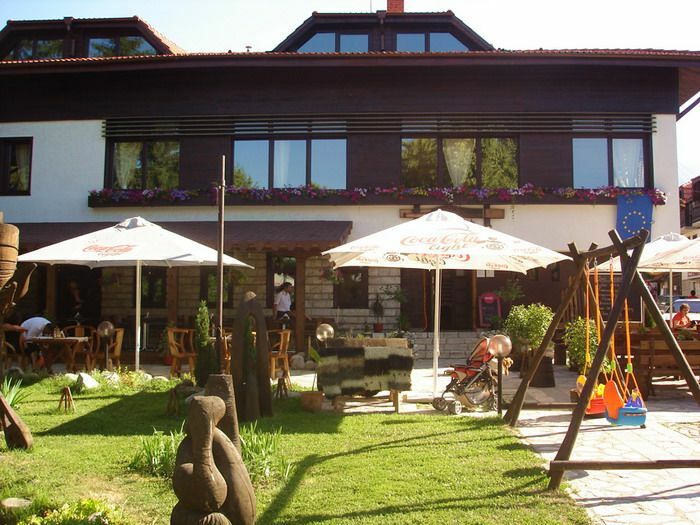 Momini Dvori Hotel is a small family hotel right in the heart of Bansko and presents an unique combination of traditional Bulgarian architecture, oriental style interior elements and luxurious furnishing. An old local building after complete reconstruction was turned in a beautiful boutique hotel with 10 double rooms, one VIP Apartment and a nice folk style tavern, existing still in the past. 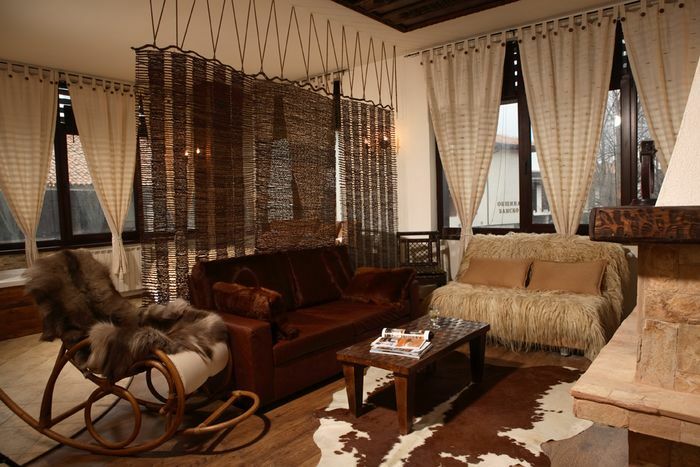 Each room has an individual design and they are uniquely decorated with Indonesian, Malaysian and Singaporean furniture and seating areas from dark wood or wicker, wooden screens, straw mats and bamboo blinds. Even the dustbins are made of wood. Each room has a specially designed bathroom (most are with a hydro massage shower) a flat screen TV set with cable TV and access to free wireless internet. The hotel also has an original Finnish sauna (for 4-5 people) and an impressive relax room adjacent to it. Though its central location the place is exceptionally quiet and calm, a walking area without any traffic. Harmoniously repeating details – for lightness and calmness among a pleasantly-tamed exotics. The beautiful window-dressing separates the hanger stand. A very beautiful wooden bench and a table. Specially made cupboards from Indonesia . A big bathroom with a spacious shower-cabin and a glass sink with river stones. 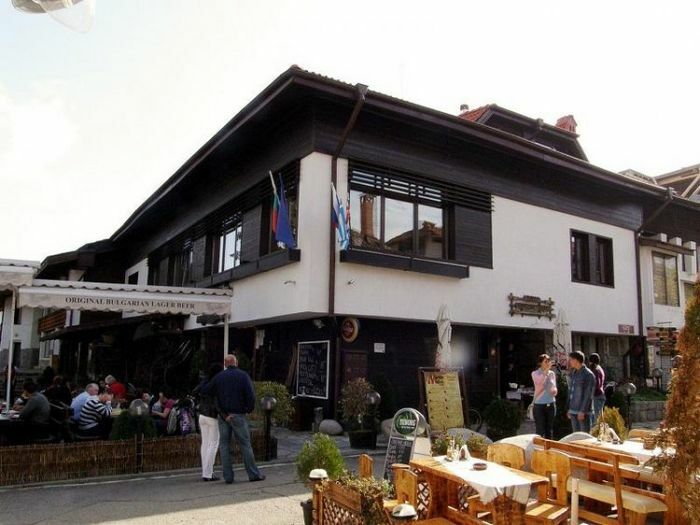 A view over “Pirin” Str. 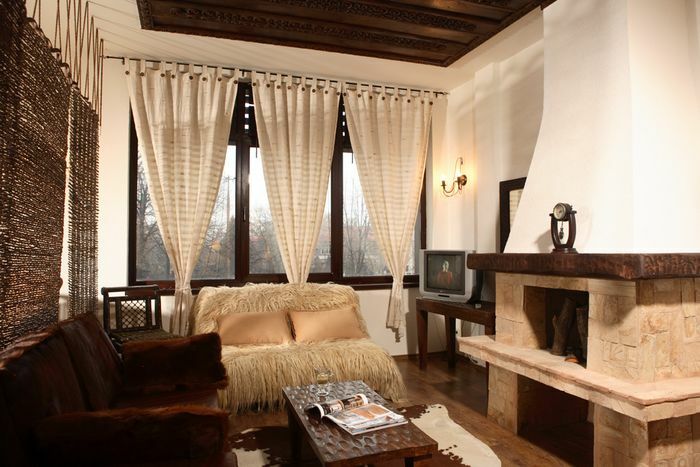 A very cozy room with a central view over the square and the town centre. In the bathroom there is a wide shower-cabin and specially made sink. A big bedroom – ideal for couples. This room is currently reserved all-year round. 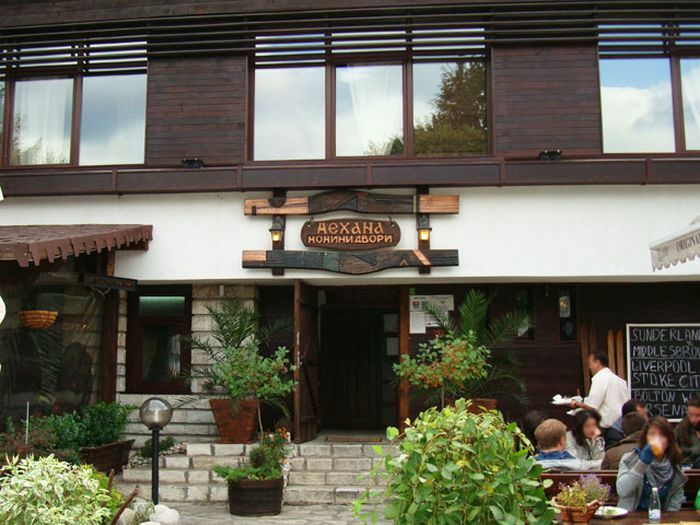 Here you can see the different wood “faces” – old, transparent, rough, fine, originating from near and far-away places. The beds are situated in a very cozy sleeping place exactly in the under-roof space. A possibility for a three-person occupancy. A very special room – made up totally of rattan and rattan furniture. The tender relieves and cloth tones give a peculiar charm to this room. A surprise – behind the persienne you will find light bamboo hangers. Warm and nestling room in the under-roof space. The space is varied and decorated with old and new beams. The textiles are in the colours of sand sunrises and sunsets. A possibility for a three-person occupancy. A romantic room, nestled at the end of the hotel, ideal for love couples. A big bathroom with a spacious shower-cabin. Unbelievable view towards Pirin mountain and Todorka mountain peak. The sunniest room of the hotel due to its southerly exposure. Undoubtedly the top accent in Momini dvori. The room is divided in two parts. A persienne from exotic brooms separates day from night, or the talk corner around the firework from the round-bed and jacuzzi area. The sculptured sink has come from Indonesia , and the board beneath it is made by local masters. An old and very expensive wood-carved ceiling. The room can host up to 4 people. A magnificent view over the square.